and I found it in my dropbox the other day and thought I would share it. It would be a great Christmas present and very economical. It's very very easy. 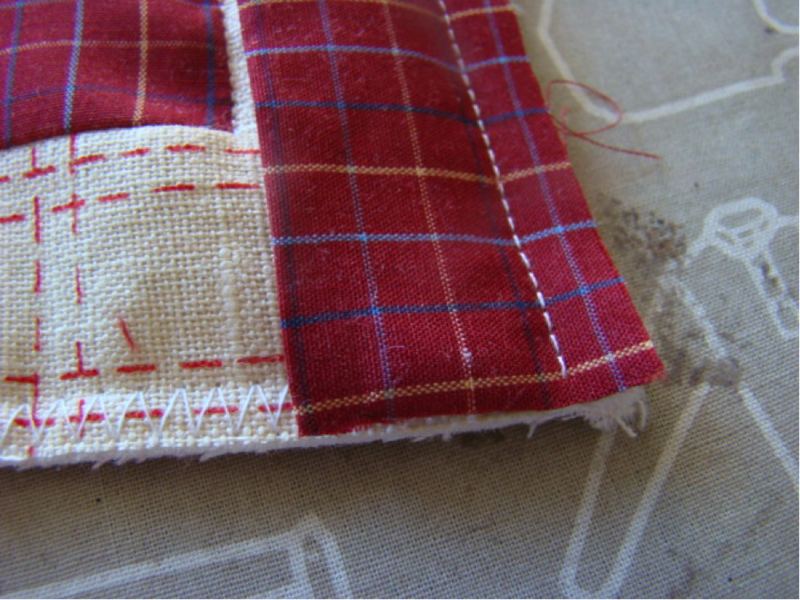 I cut the backs out of two shirts and then cut 4 x 7 cm (2 ½ inch) strips out of each back. Sew the strips together alternating the colours. 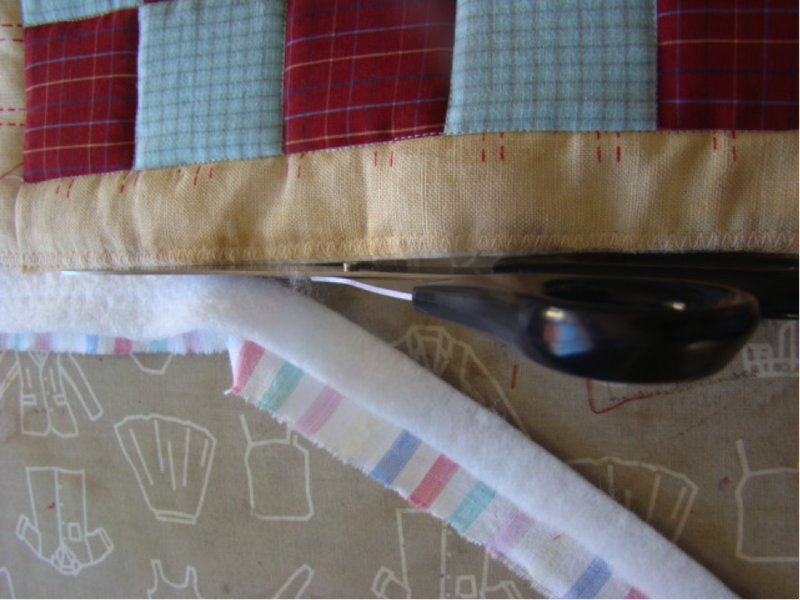 Press carefully and then cut 7 cm (2 ½ inch) strips of the stripped piece. 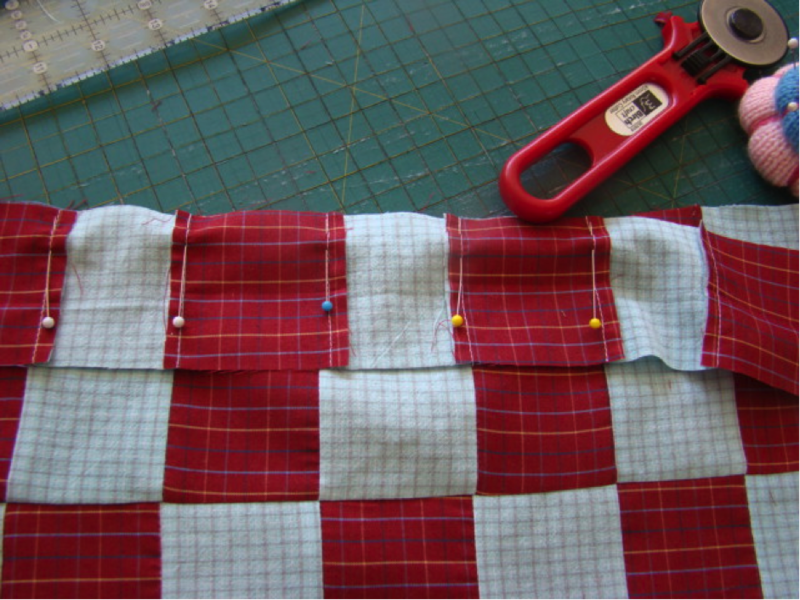 Sew the strips together, reversing each piece as you go. Pin each join carefully. 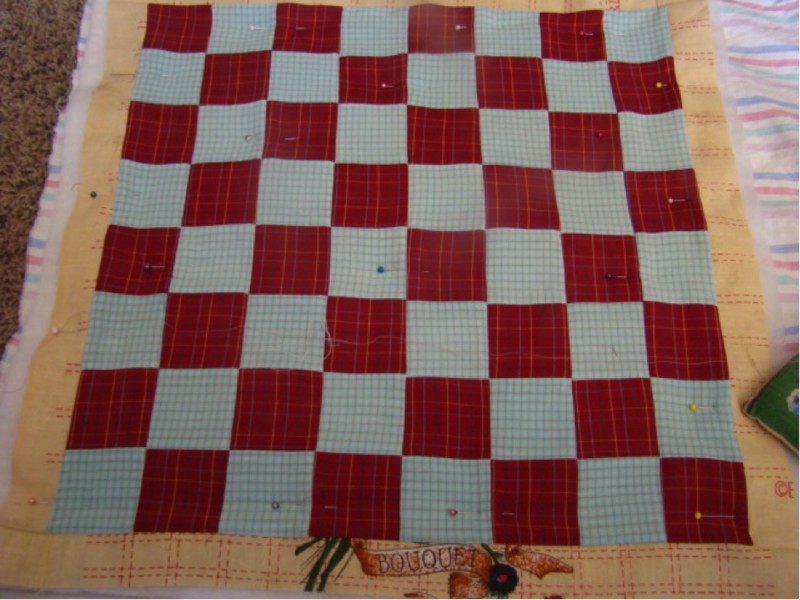 Cut four 4 cm strips from the tea towel and sew on the border of your checkerboard. Lay the checkerboard on a piece of batting, and I used another bit of my old sheet for the backing. 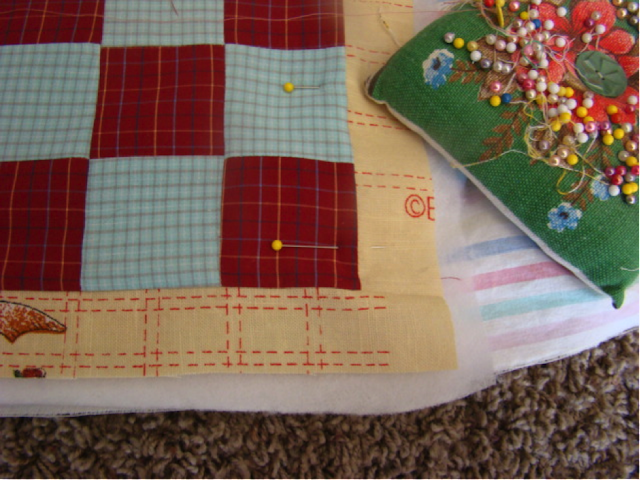 Pin liberally and sew down in the ditch of each square (a walking foot is very helpful here). 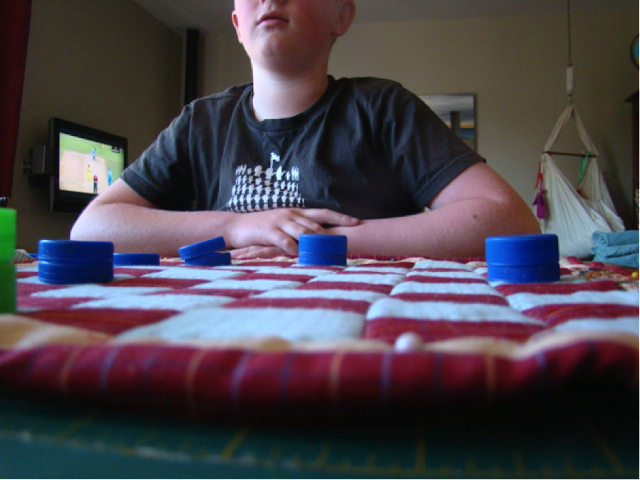 Cut some binding from the shirt and bind the board. Step by step instructions for binding are on last weeks tutorial. 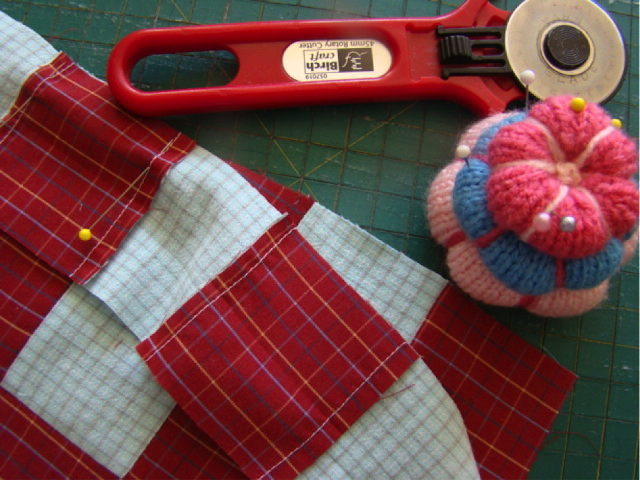 I made a draw-string bag to hold all the bits and bobs together. That's it. It's really simple. Perfect for taking on a picnic to the beach or the park! and James was still a little boy!!! THIS is an awesome idea LOVE LOVE LOVE !! !! !! 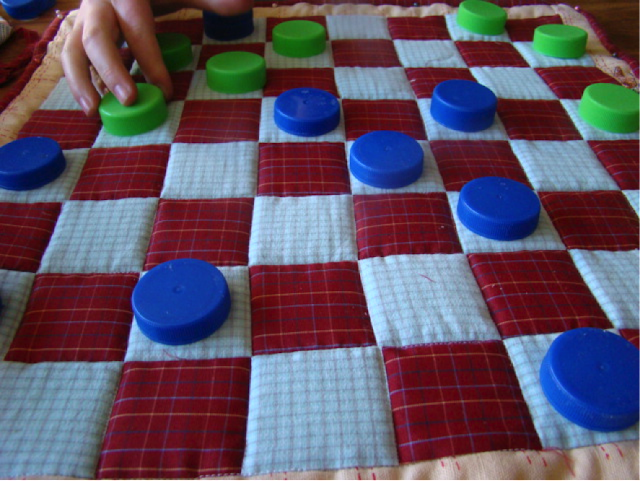 cool idea Deb - love your clever and thrifty makes.